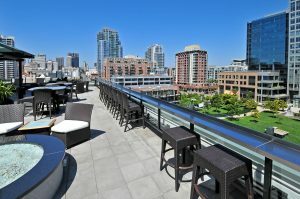 How litigation may affect the potential sale or purchase of a condo | San Diego Area Real Estate :: Neuman & Neuman Real Estate Inc.
As the owner of a Downtown San Diego condo, you have likely heard of buildings being in litigation or perhaps even your own has been involved in one of these common lawsuits, but many don’t know how litigation may affect the potential sale of their residence or the purchase of a new property. Construction defect litigation is the most common type you will experience as a Downtown condo owner perhaps involving poor craftsmanship, faulty materials, or other functional deficiencies. The primary concern is the financing process as a lender tries to estimate a homeowner’s future expenses. In regards to a single family home, a mortgage, taxes, and a handful of other expenses are typical, but a condo owner will additionally incur HOAs fees used to maintain the complex and provide services. HOA fees may also be used for legal fees and these may be raised an unpredictable amount over an extended period of time to cover the expenses of litigation. Most lenders will resist issuing a loan until a settlement is reached unless it only involves a minor issue not affecting safety or livability. If the HOA loses, everyone in the building may be held responsible for the legal fees requiring a special assessment passed on to the owners to pay – obviously not an expense a lender will want to take on. As a seller, your buyer pool may decrease to only those able to pay cash or meet the lender’s higher down payment requirements. In some cases, a seller will reduce the price enough to remain competitive in the market. As a buyer, you may likely be limited in your financing options or be required to use a specific lender. 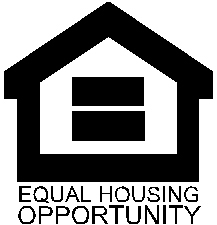 FHA and VA loans will not be issued during the litigation period. A buyer may also be required to provide a higher down payment offering less risk to the lender. For more information regarding current litigation cases affecting condo developments Downtown, please give us a call and we will be delighted to assist.